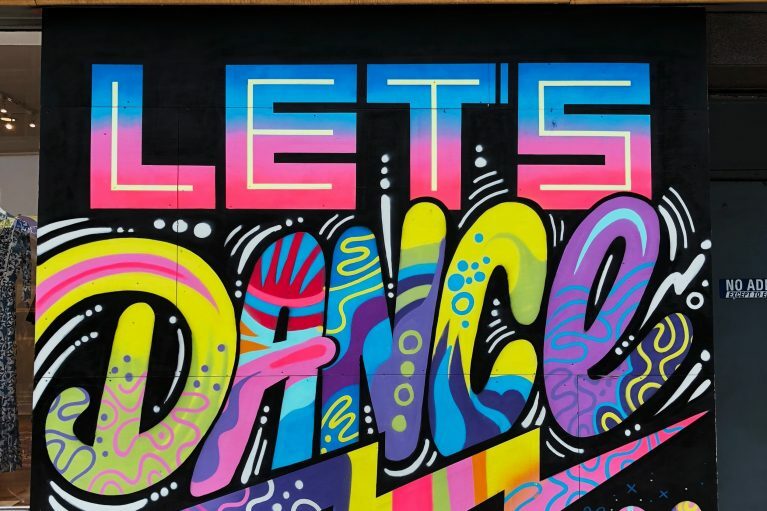 While the photogenic quality of Instagrammable food has become more compelling than a restaurant’s Zagat rating, a city or neighborhood’s endorsement of street art is a surefire way to bring attention and foot traffic to the local landscape. 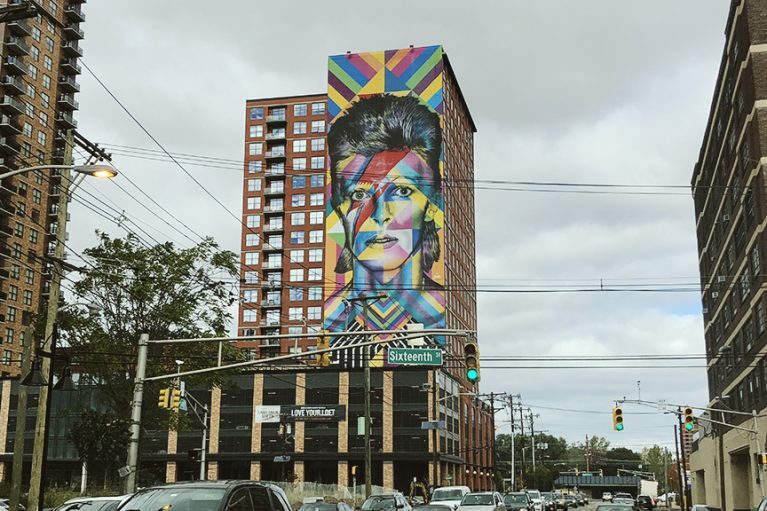 Coast to coast, colorful building murals and other eye-catching street art are racking up “likes” on social media and increasing profits for property owners and businesses in real life. 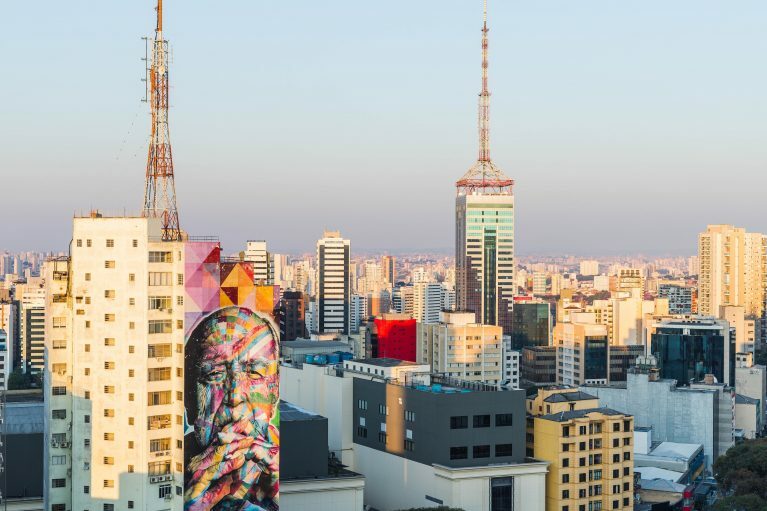 The subject of a new mural in Manhattan’s East Village is wholly emblematic of Brazilian artist Eduardo Kobra’s bold, contrasting hues and deliberate geometric patterns. In early 2018, Kobra asked Elizabeth Murphy, owner of Eleven Consignment Boutique, to get permission from her landlord to paint a mural of pop icon Michael Jackson on the building approaching what would have been his 60th birthday. Murphy is a fan of both Jackson and Kobra’s work, so the collaboration was a no-brainer. 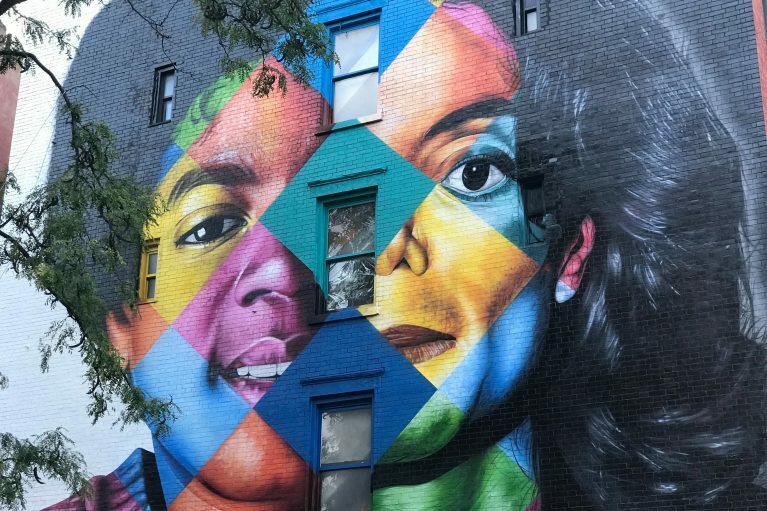 Completed in late July, the mural features two halves of one face: on the left, a young Michael, the star of the Jackson 5, and on the right, the King of Pop we knew before his untimely death. A column of solid-colored diamonds separates the young boy from his older half, skin dotted with a colorful checkerboard pattern, his hair on both sides a signature raven-black. Shortly after it went up, business was booming. Eleven saw its busiest August in seven years. I love public works, public art. It brings beauty and attention to under-appreciated areas. Eight hundred miles west, in a neighborhood called Bucktown in north-central Chicago, another inconspicuous brick building was branded with a mural that made it a Chicago icon. This time, it’s a simple red heart painted on a pink garage door, #GBheart inscribed in the same red on the bottom right corner. The owner of GB, or Green Bean Day School & Nursery, had the idea to add a touch of color to the building’s back wall, and one of the school’s teachers got to work. The Green Bean Heart has been featured on several “Top 10 Murals to Visit in Chicago” lists, with many bloggers highlighting the universality of its simple message. When they stop by for a photo, they stay for coffee at the local café or shop at nearby boutiques. Down in Nashville, one of the most iconic of Instagram murals is an unspoken request for subject-art interaction. A pair of 20-foot-high wings stand, ready for takeoff, in the city’s The Gulch neighborhood. The painting by European artist Kelsey Montague is part of a project series called #WhatLiftsYou, intended as a platform for people to share what inspires them. Montague has painted her signature wings throughout the world, from Minnesota and California to New Zealand and Australia. At press time, the hashtag had been used on Instagram more than 134,000 times. Around the corner from the mural is Bar Louie, a bar and grill with options for cocktails and microbrews. Bar Louie’s manager, Kevin Shaw, credits the mural for consistently improving the restaurant’s business. 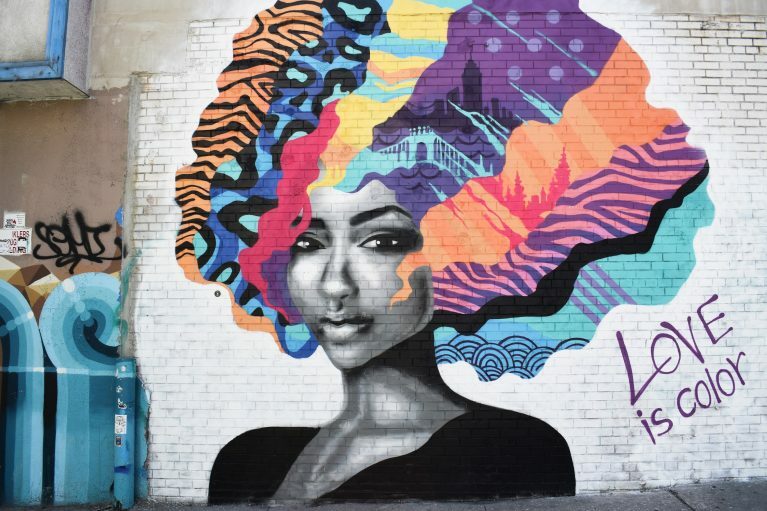 A mural titled "Love is Color" in Brooklyn, NY taken by photographer Chris Barbalis. A mural by artist Jason Naylor outside Manhattan's Roger Smith Hotel. "Let's Dance" was curated by Nicole Gordon for the family-run hotel. Photo credit: Jon Tyson/Unsplash. 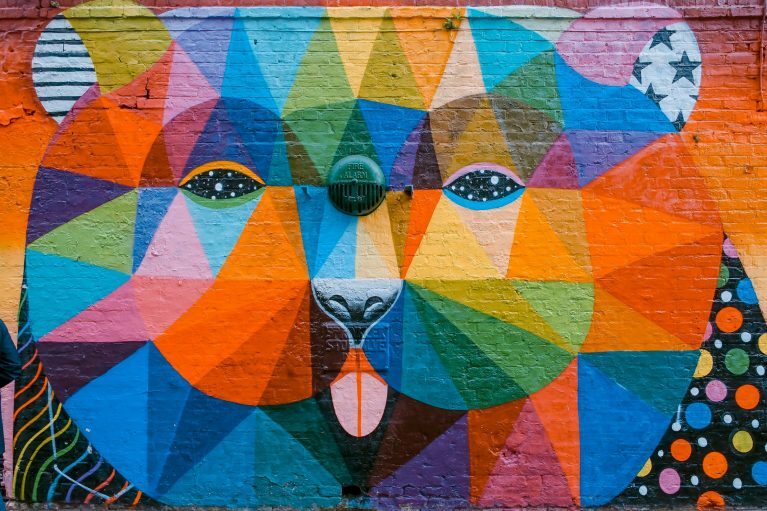 "Oso" or "bear," mural by Okuda San Miguel on a brick wall in Shoreditch, London. Photo by ToaHeftiba/Unsplash. A mural to commemorate the 60th birthday of late King of Pop Michael Jackson. The mural, painted on the building that houses Eleven Consignment & Boutique, is located in Manhattan's East Village. Photo by Shannon McNay via Unsplash. Traveling farther south, a trip to Miami often includes a visit to Wynwood. The neighborhood is one of the city’s most popular stops for its outdoor museum: Wynwood Walls, a garden of massive, colorful street murals painted by artists from around the globe. Four miles north, a 10-story hotel, the SLS Brickell, became a 40,000-square foot work of art, thanks to artist Markus Linnenbrink. Linnenbrink employed his “paint drip” technique, a method that requires no brushes – just paint, water, and gravity – to cover the surface area of the building. The giant watercolor was commissioned by Jorge Perez of the Perez Art Museum as part of his commitment to providing museum-quality art to Miami residents without the need to visit an exhibit. We’re definitely getting the foot traffic that comes from such a popular spot. Since it went up, we’ve noticed business has been consistently better. The wall, which wraps around the building, is printed with blank outlined spaces where volunteer artists – both famous and unknown – have left their mark. The result is not only a grid of diverse motifs and styles, but a source of increased revenue for the store itself, says Goodwill assistant manager Josselyn Diaz.